The third factor, however, is the true essence of any cocktail. 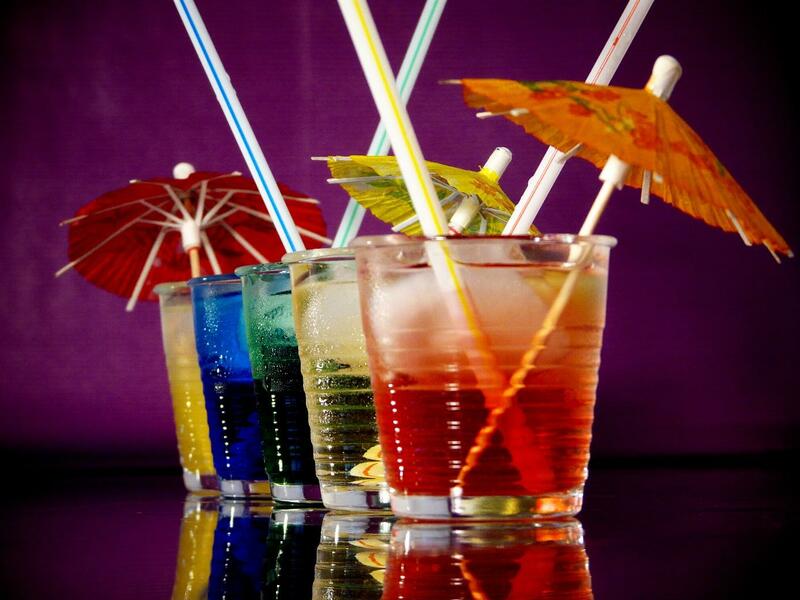 If you just pour a few drinks into a dull-looking glass that does not have a cool umbrella on top or at least an oddly-shaped drinking straw, you are not making a cocktail but a hotchpotch. A quality concoction needs to be visually stimulating and it has to be presented in a creative way. But some cocktails are true showstoppers when it comes to their presentation. One of the most spectacular cocktails in you can even drink can be ordered at The Mad Rex restaurant in Philly. This is the place that serves some of the best cocktails in Philadelphia but the Smoking Gun Shot takes the crown. It is served in a smoking cage and, according to the restaurants’ menu, one of its key ingredients is “bellowing smoke.” This cocktail makes an outstanding pre-dinner drink and it looks like nothing you have ever seen before. Are you in a mood for a colorful spectacle? Then order a Rainbow Sangria! As its name suggests, it rocks all the colors of the rainbow. It reminds a bit of rainbow shots but it is much easier to make because instead of stacking up alcohols of various colors, you will only have to stack up fruit. Still, you need to pick your fruit strategically so that you can create the rainbow illusion. Make sure you have red, yellow, orange, green, purple and blue fruit. Arrange them in a tall glass and then add dry white wine, lime juice, soda and some honey. Sometimes less is more and such is the case with this cocktail. It has a very simplistic and clean look and yet it manages to capture your attention in an instant. It contains gin, Amaro, lychee liqueur, egg whites, syrup, lemon juice and… coconut charcoal. The Amaro gives the drink a pitch-black color and the pinch of coconut charcoal sprinkled on top of it gives this drink an even more dramatic appearance. Even if you are not a fan of Bloody Mary, you have probably tried it at least once in your life. But this variation of that iconic cocktail is quite abundant in ingredients. Apart from the good old tomato juice and vodka, the Greek Salad Bloody Mary also contains cucumbers, red pepper, lemon wedges and even feta cheese. Needless to say, the inspiration behind this cocktail twist is the classic Greek salad. If it wasn’t for the vodka in it, we would have said that this is a drink that looks quite healthy and nutrient. The best thing about these cocktails is that they both look and taste great.